A dream that's daily coming true. Yes!I so have reflected,what even have thought up... Something of type duet.I think here the female soprano will sound in a fantastic way.Excuse for my clumsy English,I all the same the Russian. Bob and BC are right. This was a Van Morrison original and in my humble opinion sounded much better. Ruth said it perfectly. Leave the singing to the pros Rob. Van did it best. I think he'd sound better sticking to his British accent instead of trying an English Western one. I give him props for trying and being soulful, but it just doesn't suit him at all. 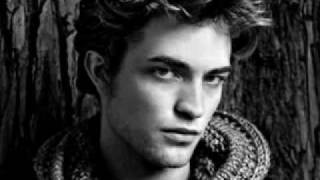 Come on, guys- I hated Pattinson until I was surfin' the web and found a few unnamed songs. When I found out they were Rob's, my heart almost stopped. He's good at what he does. Keep on, Rob. Just because someone doesn't have the greatest voice on the planet doesn't make him a bad singer. It's what comes from the soul and trust me that man has a LOT of soul...Have I mentioned he's hot?? I just wish I had found his music earlier. It is really touching, and so...soulful. I love it. I love music that is more acoustic. Besides all of that, he is GORGEOUS! i want to die every moment i hear him sing. the dude should keep his mouth closed, not sing, and stick to his bad do's and acting!!!!!!! !